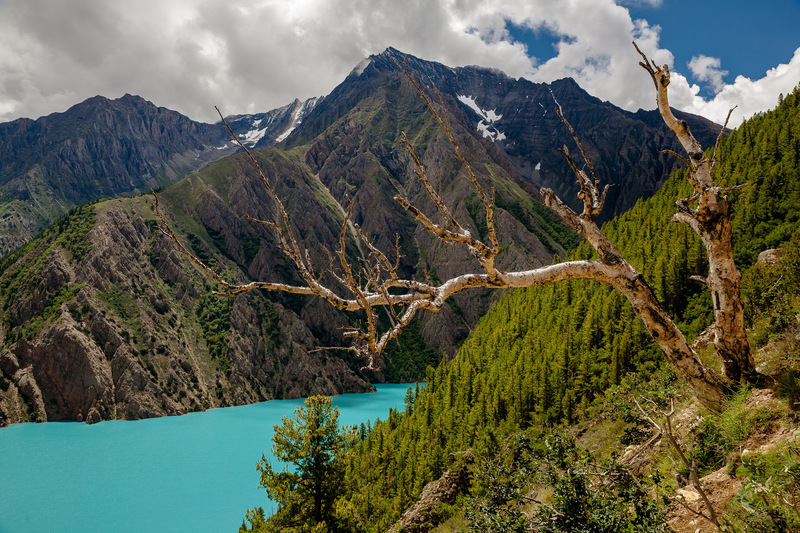 With the Gosainkund Trek you trek to the the high-altitude Gosainkund Lake, sacred to both Hindus and Buddhists. 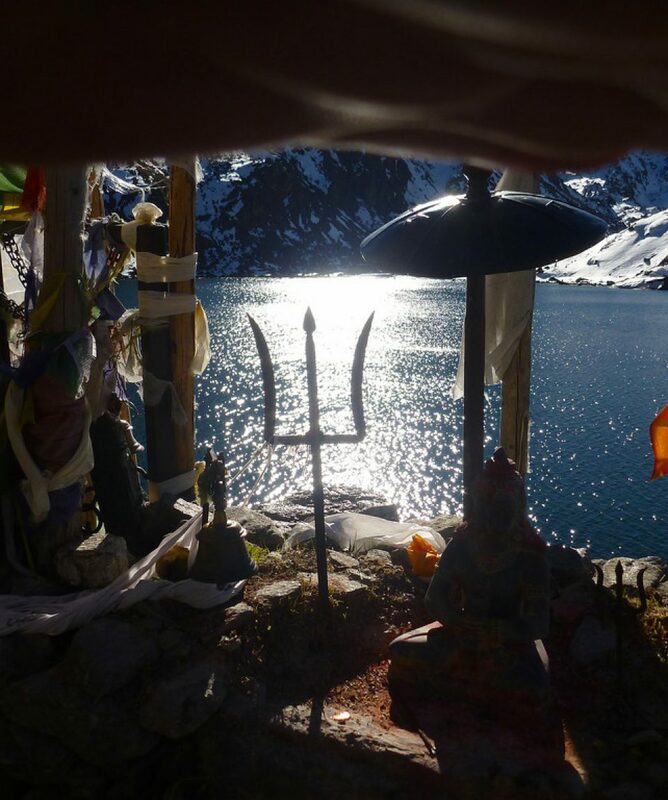 They believe that Shiva created the lake by piercing a glacier with his trident. Because he wanted water to quench his thirst after consuming poison, gathered from the churning of the oceans. All about the Gosainkund Trek [Lake of Lord Shiva]. 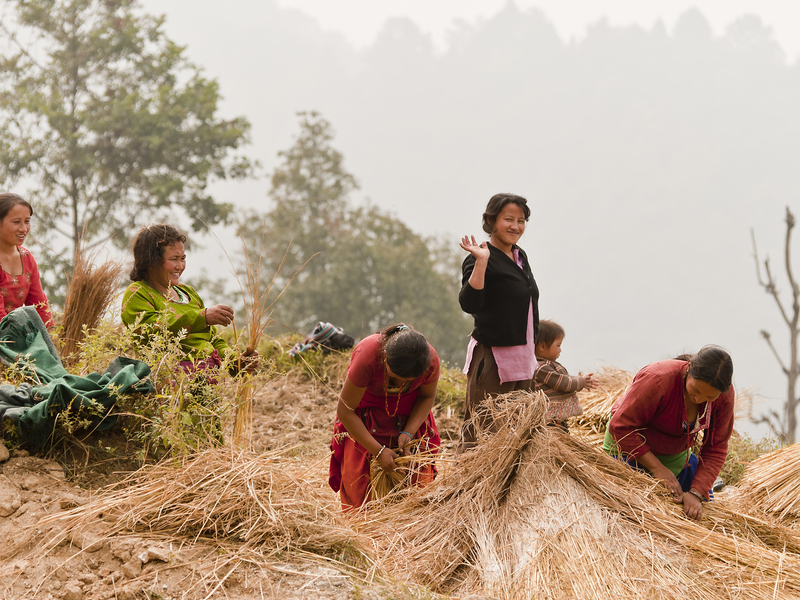 This lovely short trek lies north of Kathmandu. 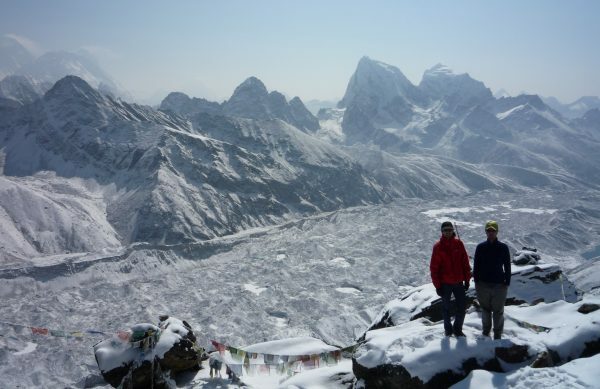 This area is less crowded than the most popular routes, yet offers you broad Himalayan panoramas. 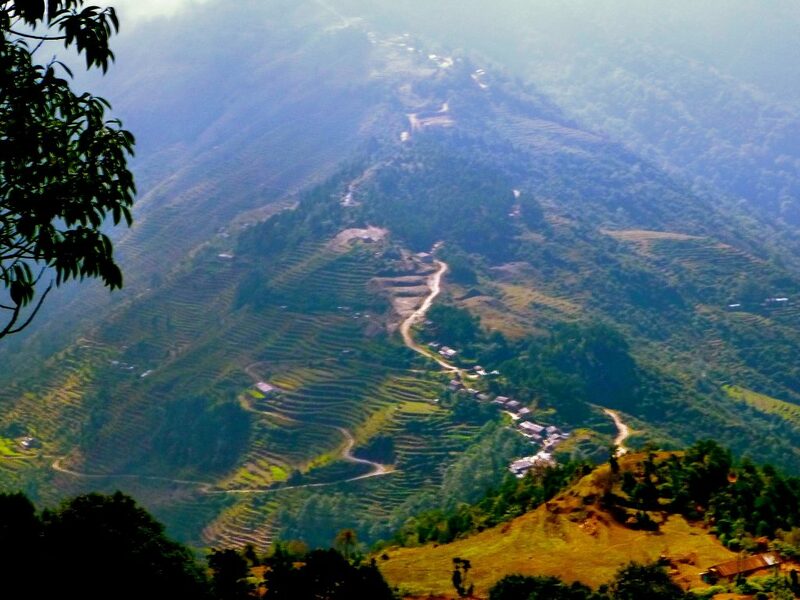 The trekking starts at Dhunche by setting off through rhododendron and oak forest landscapes. 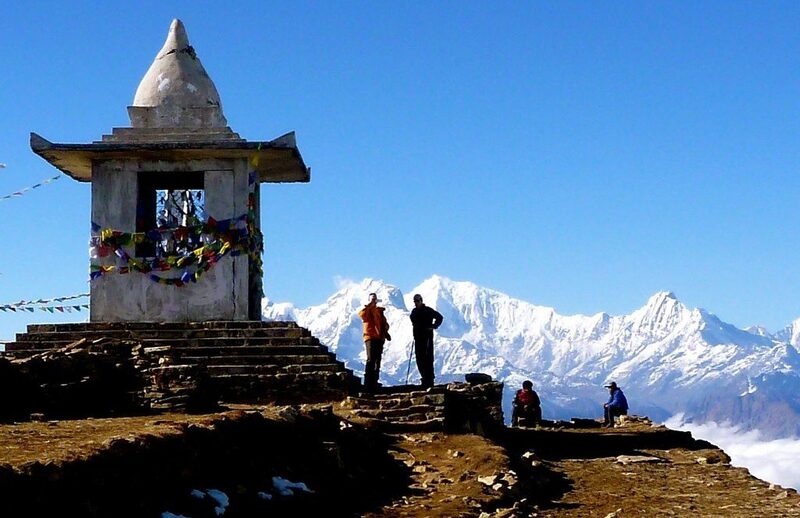 When we climb to Shin Gompa, you’ll have the opportunity to explore the Buddhist culture of this region. The main highlight of this trekking route is the stunning Gosainkund Lake. You can extend the Gosainkund Trek by combining it with the Helambu trek. 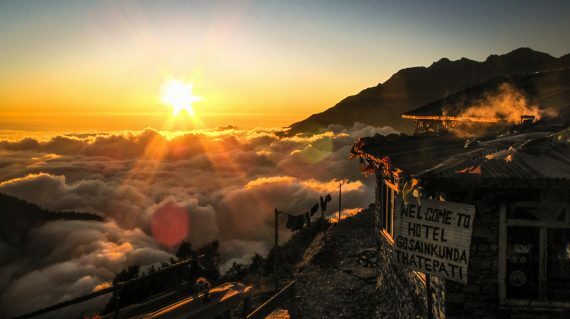 However, Helambu lacks the mountain views of Gosainkund, it offers a closer look at the local village life. 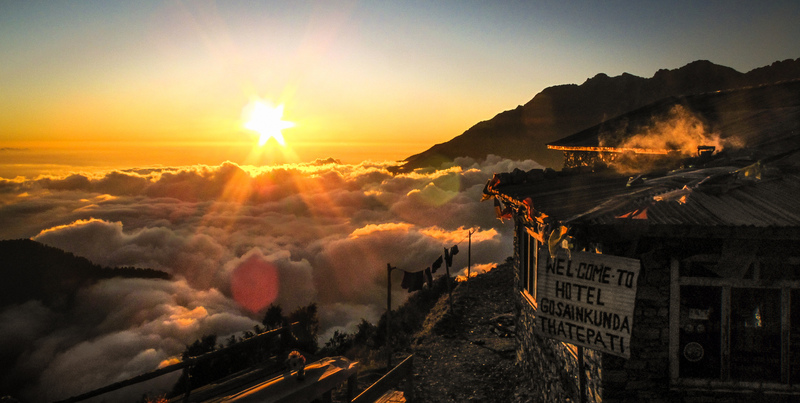 Together, the Helambu & Gosainkund Trek will take you around 14 days. From Kathmandu we set off to Dhunche by private vehicle, the starting point of our trek. 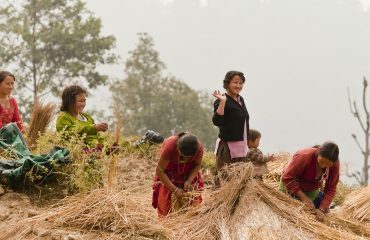 Dhunche is north of the Kathmandu Valley in Langtang National Park. 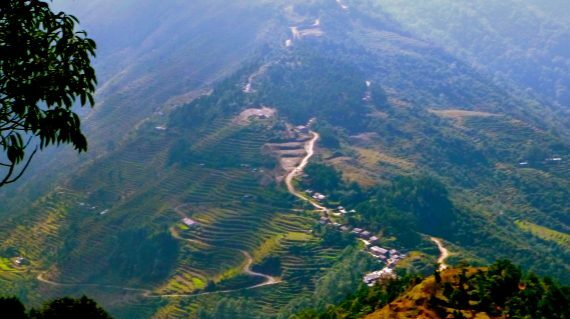 This is also the capital of the Rasuwa district. It takes us a 6 to 7 hours drive to reach the place. In the morning, we cross the river Trisuli Khola and climb steeply through a beautiful forest of blue pine. This day is excellent for seeing wildlife. For instance, troops of langur monkeys and red pandas make this forest their home. 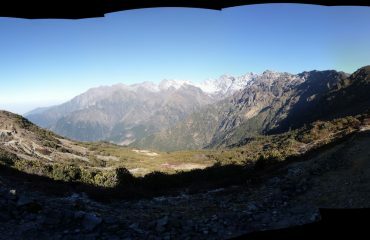 As we approach Thulo Syabru, the Langtang Valley and snowy peaks of Tibet become visible. Today, the track goes steeply up through forests of rhododendron, pine and banyan trees. These forests are the habitat of many different species of birds and wild animals. Once we have reached Sing Gompa, we can visit the Newari-style monastery if it’s open and the nearby yak cheese factory. From Sing Gompa the trail climbs steeply up a ridge. This ridge marks a transition zone between rich, moist mountain forests on the northern slopes, and the dry scrub vegetation on the slopes that face south. Later on, we will begin to see the waterfalls from the first of the lakes, Saraswati Kund. 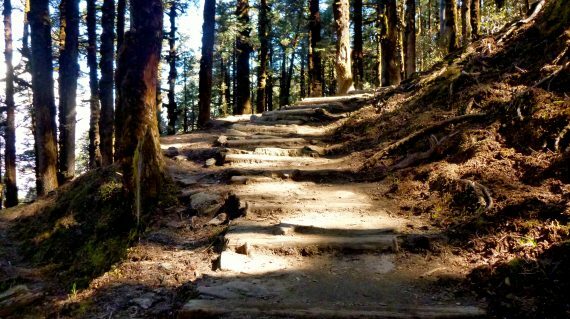 The trail climbs gently but continuously to a spur marked by prayer flags and two rock carvings of Ganesh. 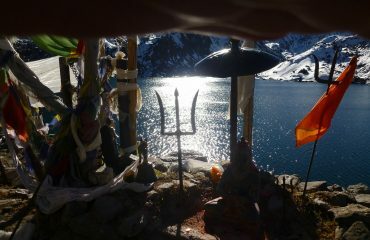 Shortly after, the second lake in the chain appears, Bhairav Kund. Then it is only a further 35 minutes untill we reach the third and largest lake Gosainkund (4300m). 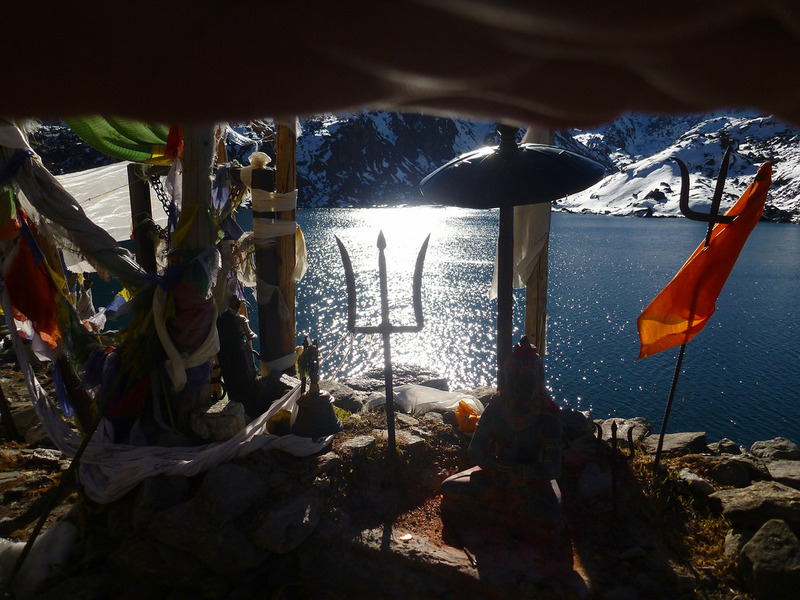 At Gosainkund are half a dozen lodges, a Shiva shrine and a helipad. And on the northwestern side of the lake are numerous small stone shelters for pilgrims. The trail traverses the northern side of Gosainkund Lake and climbs on a rocky trail marked with cairns towards the pass. Passing three more small lakes, the trail finally reaches Laurebina La pass (4610m). 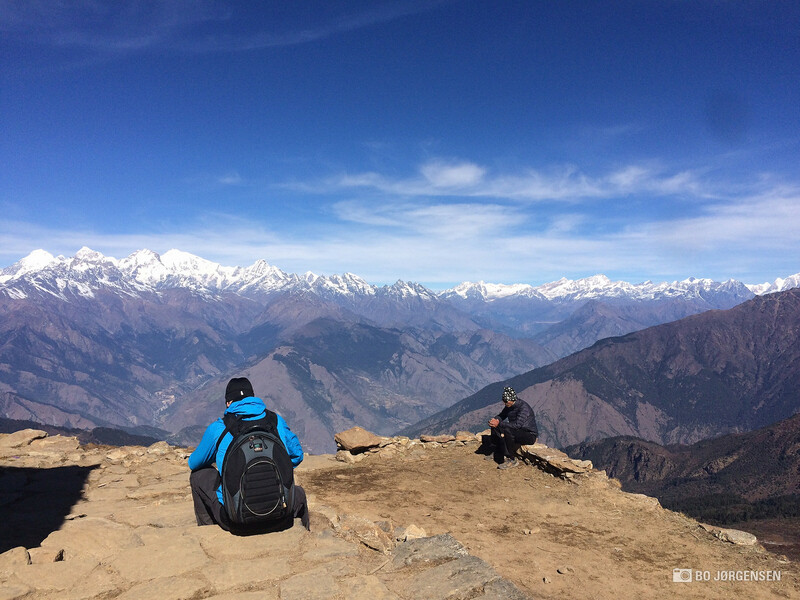 From the pass, you have some fine views over the surrounding hills and the large Surya Kund (Sun Lake). The trail descends alongside a stream through alpine country to High Camp. 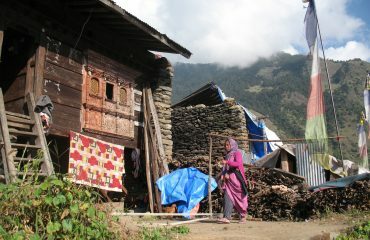 Then, the trail goes along a rough, knee-busting route that descends for an hour down the middle of the valley to Phedi. 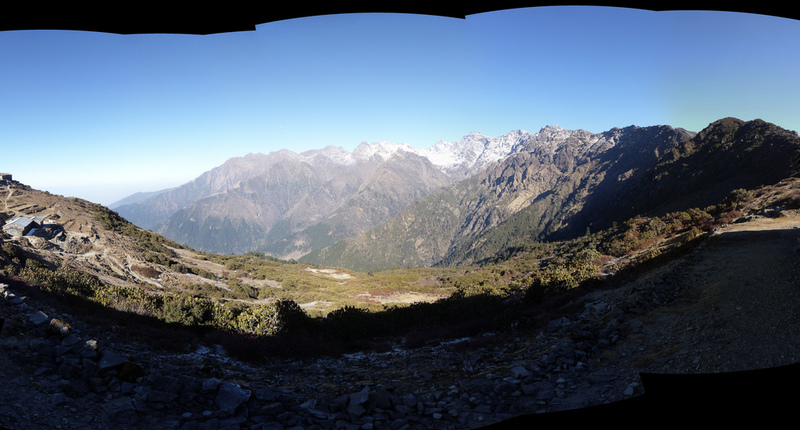 From here, the route drops down to a stream then climbs through scrub bamboo to a crest (3750m). Then, the trail descends further through forests, climbing in and out ravines below the towering cliffs of Thare Danda. On one of these ridges are some prayer flags. Just beyond these is Gopte (3440m), the village where we have dinner and spend the night. Descending from the ridge at Gopte, the trail makes numerous ups and downs. 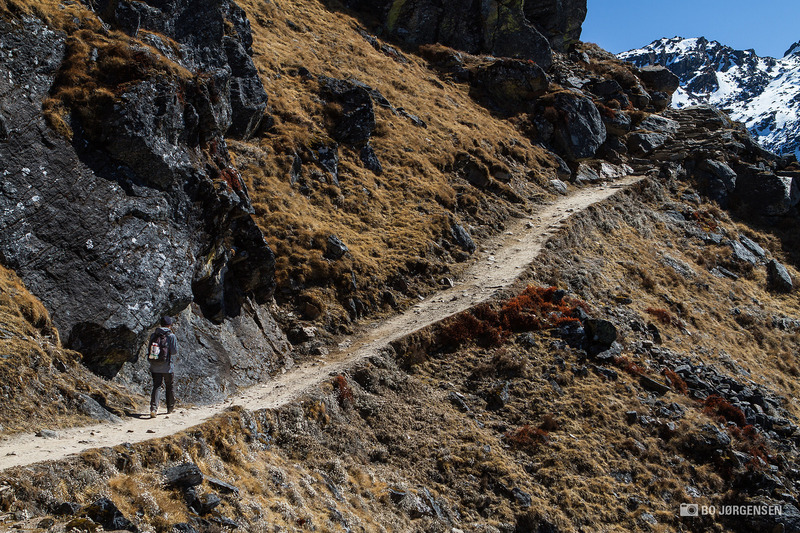 We trek across ravines and the boulders of old moraines, and make a final ascent to Tharepati (3640m). 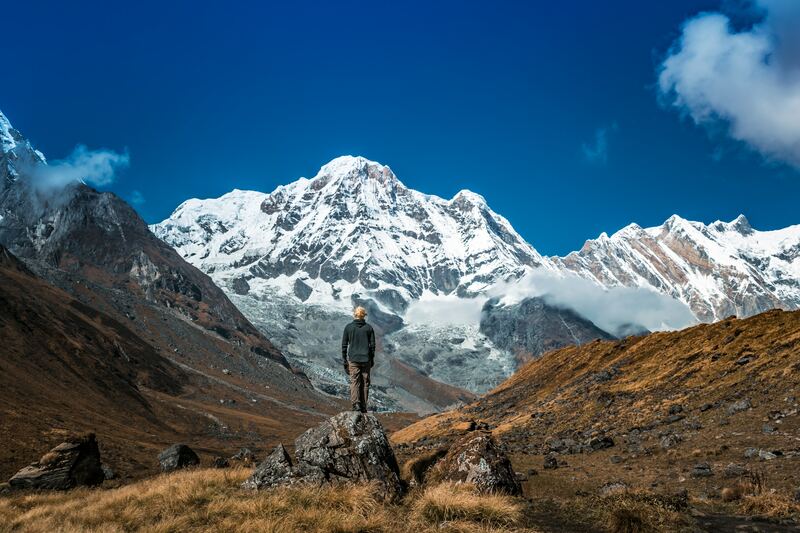 This is a stunning place, as it ’hovers’ beneath a jaw-dropping curtain of Himalayan peaks. Then, the trail goes steeply down through a dense pine forest till we reach the small village of Magin Goth (3285m). From here, we have an ongoing descend. The trail ducks in and out fir and rhododendrons forests, passes isolated farms till we reach a big white chorten towards a ridge. And by passing this chorten, we reach Khutumsang. We start off by climbing the ridge and continue over a small pass (2580m). 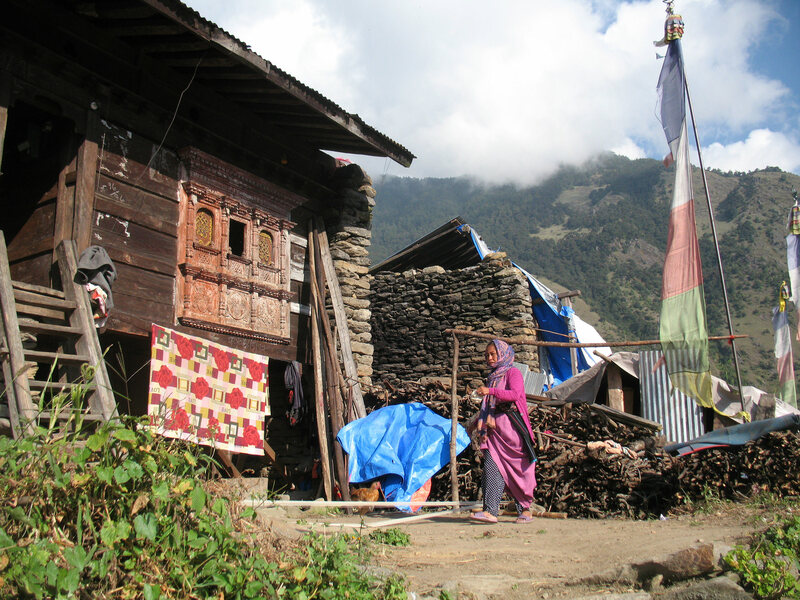 We descend on the other side and pass the Tamang village of Golphu Bhanjyang. We pass a white chorten and leave the village behind us and ascend again. 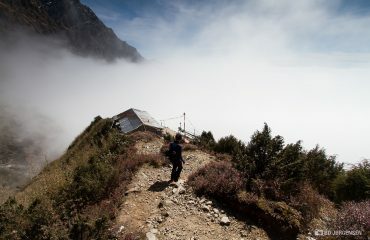 The trail leads us further south, via the Tamang village of Thotong (2260m), Lapchu Danda (2420m) and Chipling (2170m). Then we pass the Brahmin and Chhetri village of Pati Bhanjyang (1770m). And as we get near Chisopani, we get a rewarding view of the mountains. Today is the last day of the trek. 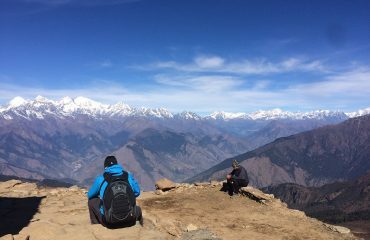 We trek uphill through peaceful forests of brown oak and rhododendron, till we reach the pass at Borlang Bhanjyang (2440m). We descend on the other side through a rhododendron forest. If the sky is clear, we can see the Kathmandu Valley from here. And maybe even flights taking off and landing at Tribhuvan Airport. We pass the Tamang village of Mulkharka (1800m) and follow the trail downhill till we reach the entry checkpost for the Shivapuri National Park. The final part is a steep walk downhill to Sundarijal. Here, the private vehicle will be waiting for us and takes us back to Kathmandu. 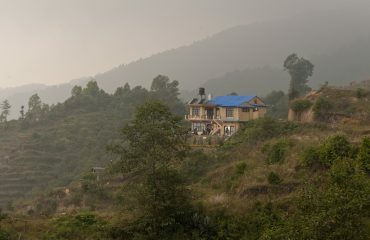 In Kathmandu, before and after your Gosainkund short trek, you will be staying at a 3-star hotel with a private bathroom and wifi. These hotels have a prime location. In Kathmandu you will be staying in the travellers neighbourhood Thamel. The hotel is nearby many restaurants, trekking gear shops and supermarkets. 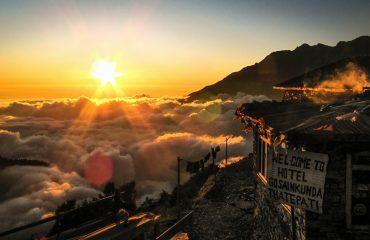 During your Gosainkund short trek, you will be staying at mountain lodges. Here are double rooms and shared bathrooms. Trekking trail by Bo J. Mountain lodge by Bo J. 10 min. break by Bo J.
Gosainkund Lake by Rick McC. View from Tharepati by Matthew L.
Inhabitants of Shivapuri National Park by Göran H.
Accommodation in Shivapuri National Park by Göran H.